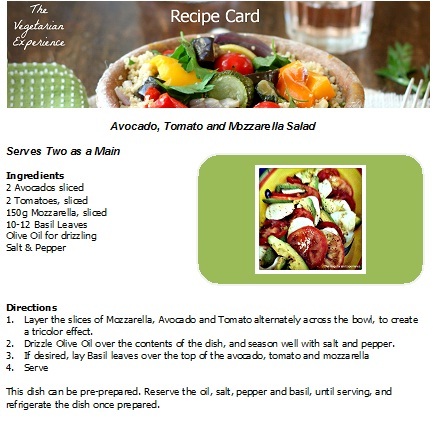 Today I am featuring an Avocado, Tomato and Mozzarella Salad, perfect to enjoy during the warmer weather which is apparently about to come our way here in the UK. A friend bought this to our university tutorial this week, and we all absolutely loved it. I have to say, although I have often made an Italian style salad with just the tomatoes and mozzarella, for some reason, I had never previously considered adding Avocado to the dish, but now I am converted! Avocado is definitely the vegetarian's best friend as it contains monounsaturated fats, - typically found in meats, fish, and dairy products, so it is a great food replacement for Vegetarians and Vegans. This recipe isn't so much of a recipe, but more of a meal idea. None the less, this dish would make a terrific lunchtime salad. It also looks great on the table as part of a larger buffet meal. You could jazz it up with perhaps a few black olives added too, and a nice glass of wine to accompany it as you eat alfresco! I hope you enjoy making (and eating) it! 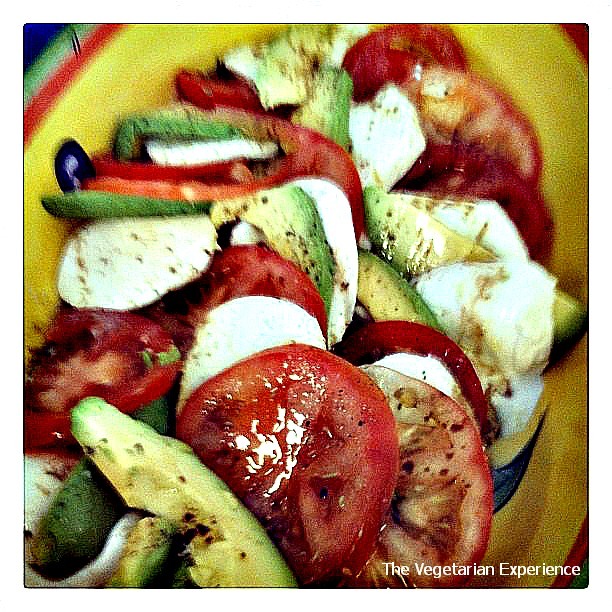 Layer the slices of Mozzarella, Avocado and Tomato alternately across the bowl, to create a tricolor effect. Drizzle Olive Oil over the contents of the dish, and season well with salt and pepper. If desired, lay Basil leaves over the top of the avocado, tomato and mozzarella.